Are you daring enough to float off the face of the famous Niagara Falls…protected only by a wooden barrel? 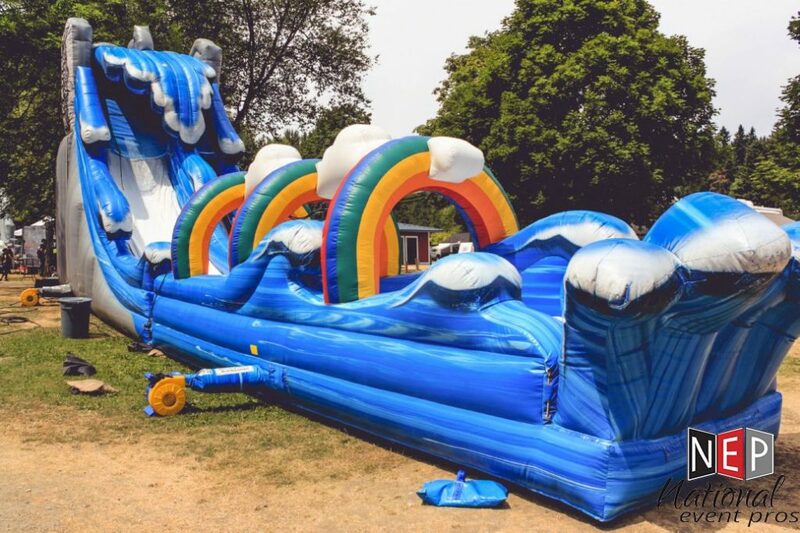 Well maybe not….but you and your guests can experience the thrill of the raging waters as you take a plunge down the falls of the mighty Niagara Water Slide, then glide to safety through the river. At 25ft Tall and over 60ft Long, this is one of the largest water slides available.